Send your drugs/medical claim to a Lawyer who will review your claim at NO COST or obligation. Drug manufacturers have a responsibility to make drugs and medical devices safe for the marketplace; in many cases they are asked to provide warning labels to physicians and (in the case of medications) the pharmacy that dispenses their product. But all too often drug and medical device companies are aware that a drug can cause harmful drug side effects or a medical device can be defective and can cause injury or death--and they may choose profit over safety. Although drugs and medical devices are often recalled due to drug side effects and defective devices, some pharmaceutical companies and medical device companies rush a product to market and/or aggressively promote the drug by persuading consumers to ask for the drug and convincing physicians to prescribe it. In their rush to design the next "blockbuster" drug or implantable medical device, pharmaceutical and medical device companies can put the consumer at risk. Actos, allegedly linked to an increased risk of bladder cancer and heart disease. Benicar, reportedly linked to an increased risk of sprue-like enteropathy. Byetta reportedly linked to an increased risk of certain cancers. Crestor and other statins, reportedly linked to an increased risk of muscle toxicity, cardiomyopathy and diabetes. Xarelto, Pradaxa, Eliquis and other anticoagulants reportedly linked to an increased risk of uncontrolled bleeding. Januvia/Janumet xr reportedly linked to an increased risk of certain cancers. Lipitor reportedly linked to an increased risk of diabetes. Onglyza possibly linked to an increased risk of heart problems. Propecia, allegedly linked to an increased risk of sexual dysfunction. Testosterone, linked to an increased risk of heart problems. Victoza, reportedly linked to an increased risk of pancreatitis. Vytorin, reportedly linked to an increased risk of cardiomyopathy and liver problems. Zofran, reportedly linked to an increased risk of birth defects. IVC Filter, reportedly linked to an increased risk of metallic failure, putting patients at risk of blood vessel perforation, internal bleeding or stroke. Power Morcellator allegedly linked to an increased risk of cancer. Transvaginal Mesh, marketed by numerous companies, reportedly linked to an increased risk of erosion, infection, pain and urinary problems. The likely risk of injury caused by a defective medical device is greater than its possible benefits. A defective medical device is either flawed in design, manufacture, inadequate instructions or insufficient warnings and it does not achieve its intended purpose. Another defect may be in warnings to physicians and to consumers. The prescribing physician must be warned of any dangerous potential risks associated with a medical device. Defective medical devices can include shoulder pain pumps; hip and knee replacements (Zimmer Durom Cup); dialysis machines; defibrillators; heart valves; stents, and more. Over 100 "Class I" recall notices went out from January to July 2009—regarding defects that are serious enough to cause a reasonable probability of adverse health consequences or death. Over 1,000 recall notices went out from January to July 2009. When pharmaceutical companies or medical device companies provide drugs, devices and treatments that cause injuries to many victims, mass tort and class action attorneys can ensure your rights are protected through a group lawsuit, thereby allowing victims to share legal fees. Or you may have suffered from a defective drug or device and wish to seek legal advice without joining a class action. Many attorneys work on a contingency basis: if you have suffered from a dangerous drug and/or defective medical device, file a complaint with an expert attorney for free legal advice. 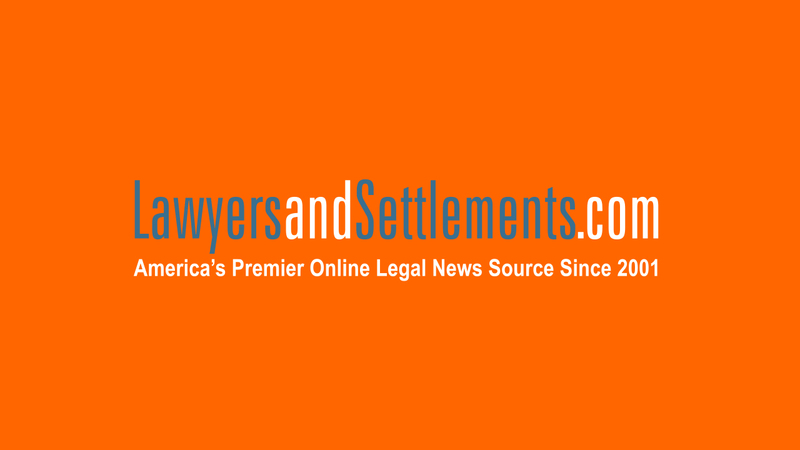 LawyersandSettlements.com provides comprehensive drug and medical news coverage that aims to keep the public informed. We provide an online legal news source that includes interviews with drug lawyers and medical lawyers. It is important that you find an experienced drug lawyer to handle your case. LawyersandSettlements makes it easy for you to find the right drug lawyer. We work with attorneys throughout the US and Canada who practice in these specialized areas. “I was a Gadolinium Guinea Pig,” says Woman Diagnosed with Kidney Problems Boulder, CO: Nicole had over two dozen MRI’s with gadolinium contrast dye before she discovered the risks and side effects associated with this heavy metal – side effects the FDA has known of since at least 2007, when it slapped a black-box warning on all gadolinium-based contrast agents for MRI, detailing an increased risk of nephrogenic systemic fibrosis with kidney-disease patients. Panacryl Sutures alleging problems with non-absorption, infection, granulomas, and more. If you or a loved one has suffered damages from a bad drug or defective medical device, please click the link below to send your complaint to a lawyer to evaluate your claim at no cost or obligation.